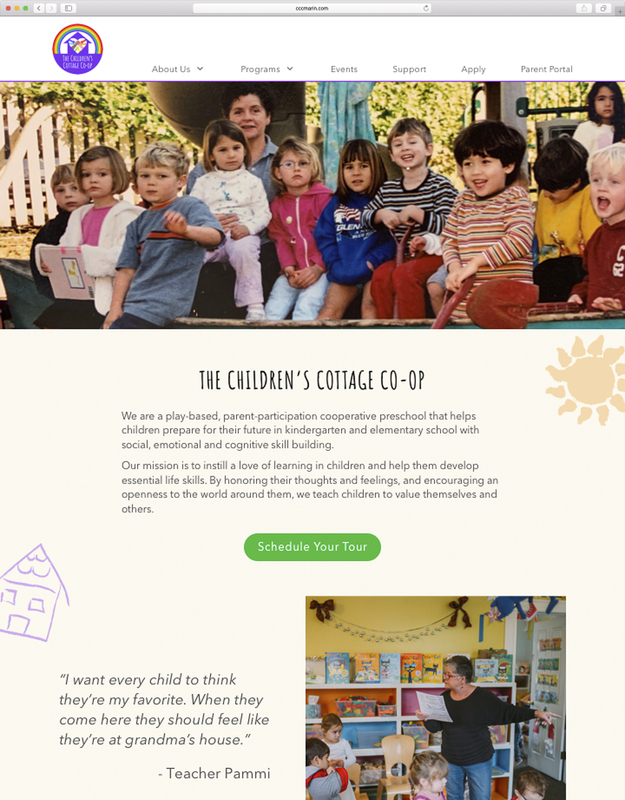 The Children’s Cottage Cooperative is a non-profit cooperative preschool located in Larkspur, California. It provides parents with a unique experience to engage directly in their child’s development by participating in the operations of the preschool. When parents are searching for a new preschool, the website is an important deciding factor. 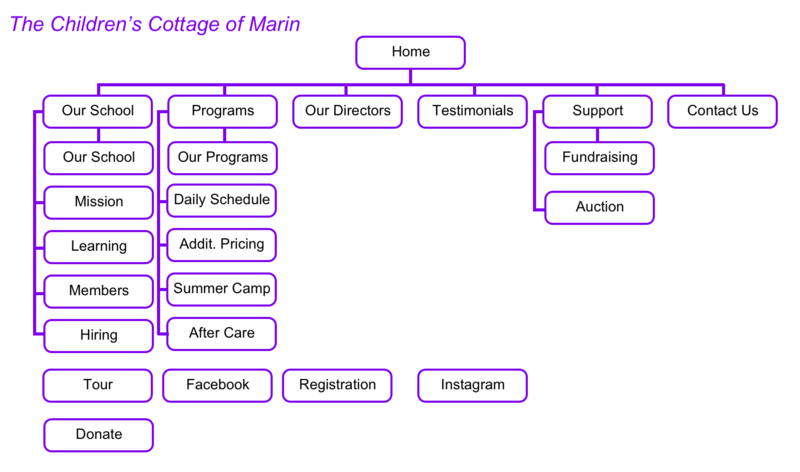 The Cottage's website currently lacks essential information such as a complete mission statement, visuals, and information on enrollment and programming. In addition, the website is difficult to navigate and information difficult to find in the clutter. These factors complicate the experience for parents, who need to find information to make a decision and to enroll their child at the Cottage. "The website is boring. There is a lot of blah, blah, blah." 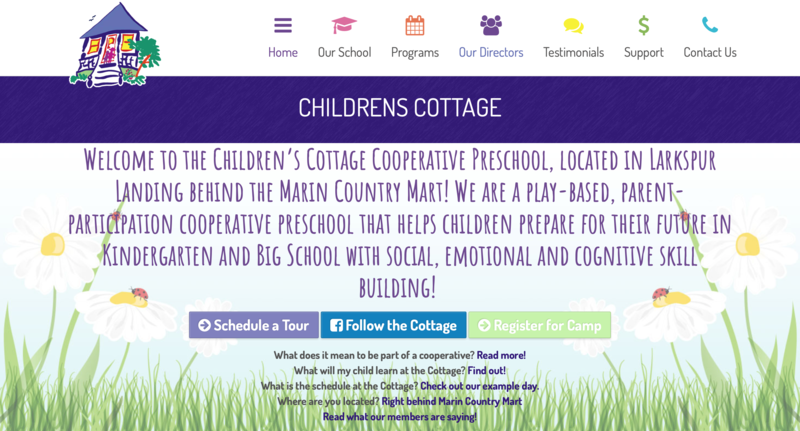 A redesign of the Cottage's preschool website that effectively communicates what the the Cottage is, and in a way that is both visually appealing and inviting. 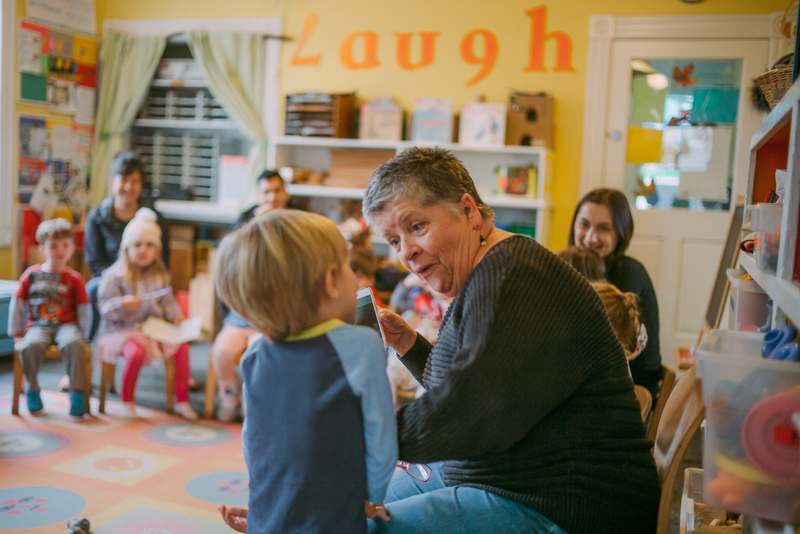 An experience with a clearly defined information architecture that engages and inspires parents seeking to learn more about the preschool and to enroll their kids. We began our journey by reaching out to parents, utilizing a screener survey then reaching out with phone interviews. 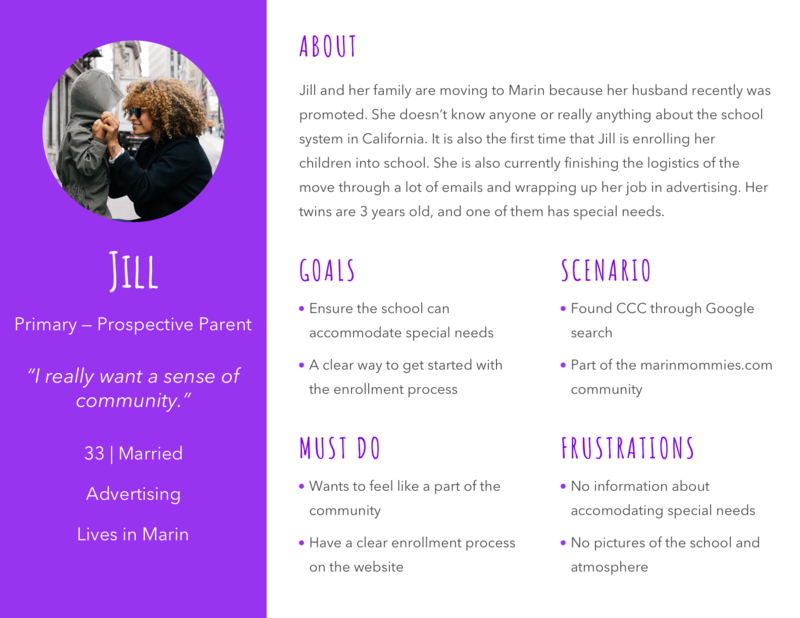 From our research data, we created a primary, secondary, and special persona — choosing to focus on the prospective parent as the main user to design for. 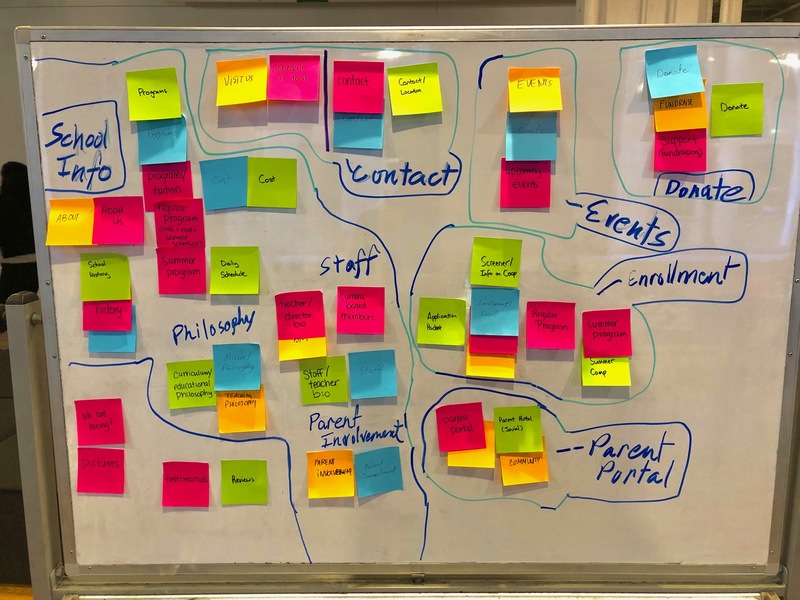 After speaking with parents of children currently enrolled at the Cottage, we identified a need to tell the Cottage's story better, in addition to visualizing a more functional site to meet the needs of prospective parents. 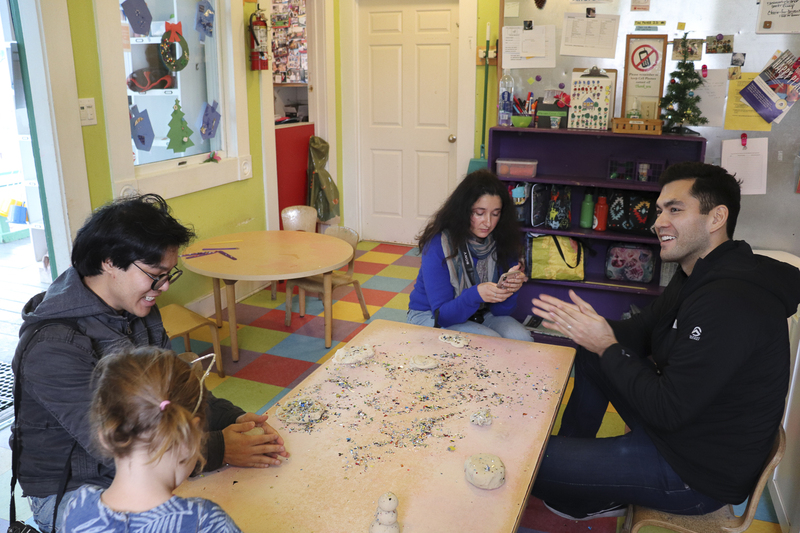 In order to create an experience that genuinely reflected the Cottage, we decided that a field trip would be the best way to understand how, as none of us are parents. A couple UX teammates and I doing research. We could easily work this glittery play dough into our minimum viable product! The outcomes from our trip made a significant impact on the project, as we were able to speak with our stakeholders and identify with them. We also had the opportunity to engage with the children and parents, and to capture the special feeling of being in the Cottage itself. During this trip I was able to produce visuals for the new site, tying my past experience as a photojournalist into the UX design process. CLICK or TAP on the image below to view additional photographs. We combined these photographs with revised copy for the website, in addition to a design style guide, and content strategy guide, which set the tone and personality for the new site. We tackled the information architecture of the site, starting with the creation of a clearer navigation then determining the pages and content for the new site. 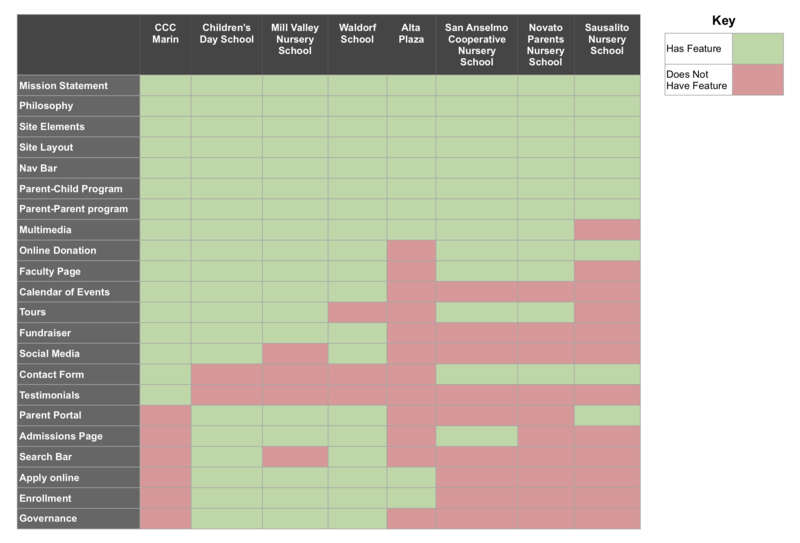 I evaluated the current website and the websites of 7 other preschools in the area. We combined insights from the competitive analysis and feedback from parents. With a good idea of the information architecture, we moved into visual design, starting broadly with the design studio. We created wireframes and prototypes, conducting 10 usability tests throughout the process and iterating on our designs accordingly. 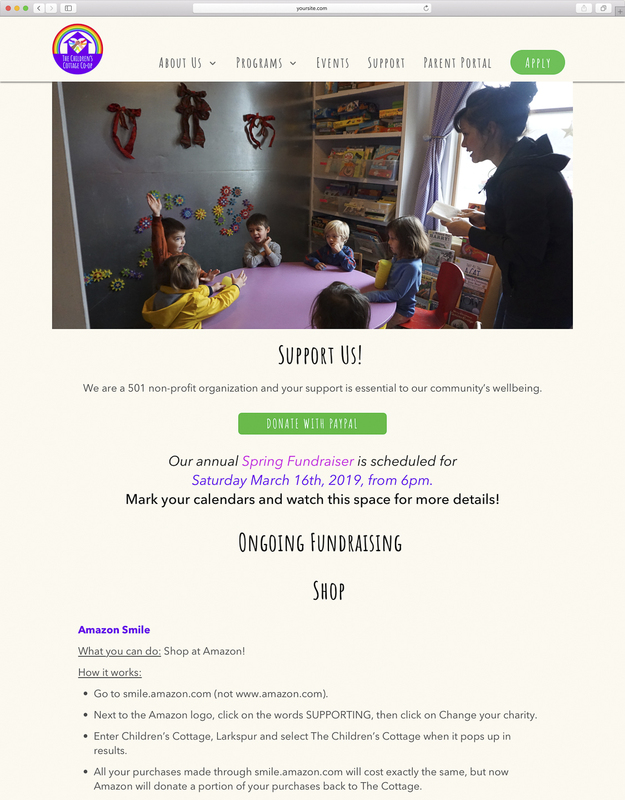 I handled the design of the Support, Virtual Tour, Teachers, and Events pages which can be viewed with more detail in the following section. Pages contained too much text. Fonts, colors and spacing were inconsistent. Co-op parent obligations were not understandable enough. To view artifacts CLICK or TAP the images below. Brainstorming, rapid sketching, and speed presenting. Low, medium and high fidelity iterations on the support page. An interactive prototype is also available on InVision. 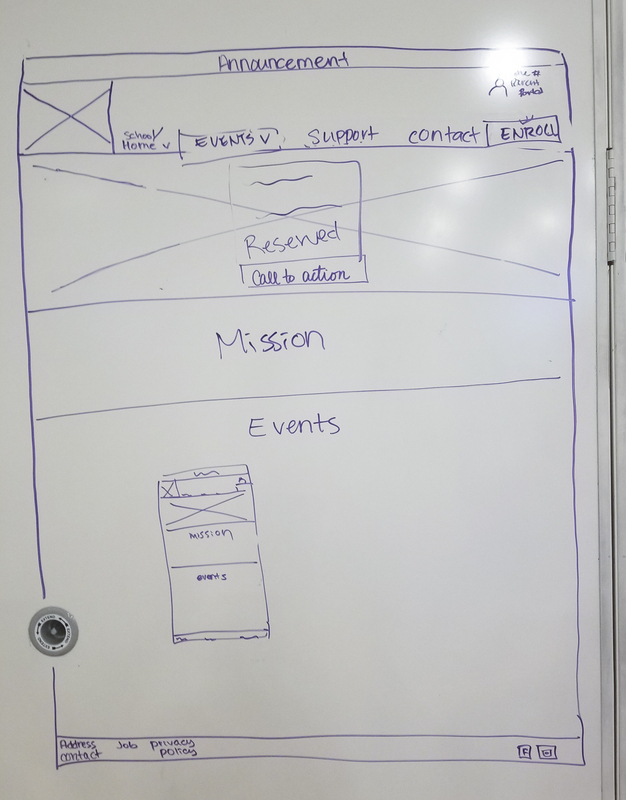 Mobile wireframes and prototypes were created during the process, but seeing that this implementation would mainly be used on desktop, the mobile experience became a stretch goal. What started as a website redesign evolved into an endeavor much greater. 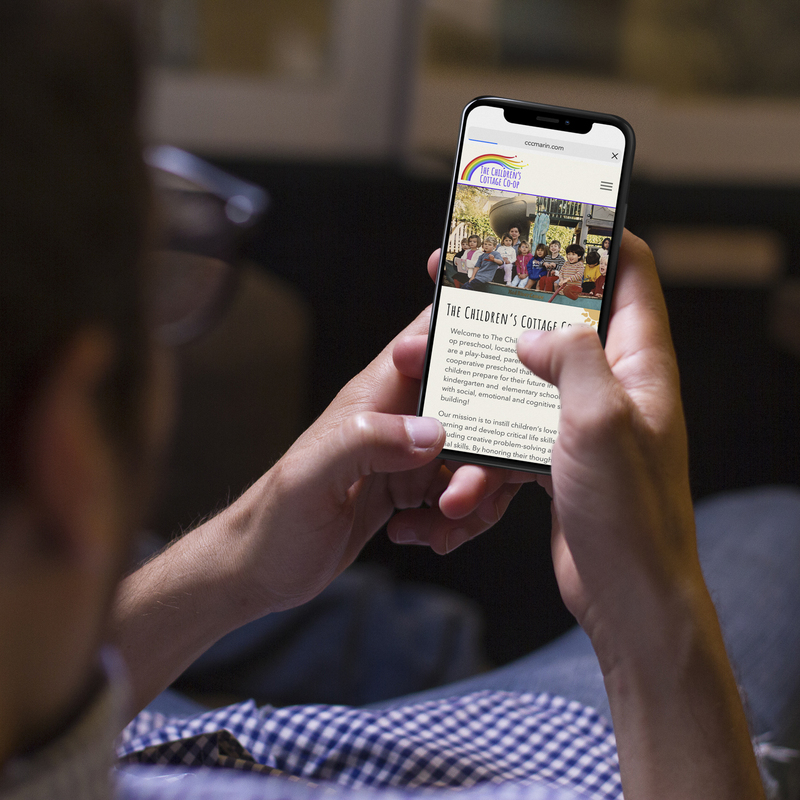 We were able to deliver a website that not only met the needs prospective parents and of the Cottage, but also a website that exceeded expectations. The project became a journey that impacted all of us. It was truly a great experience being able to work with and for the parents of the Cottage, and I look forward to seeing how the fruits of our work are implemented. "Enoch and his partners were able to understand our community and then - in some amazing way - take all that we are and all that we aspire to be, and put it into website form. Our gratitude for their work goes beyond words."